Hey! How are ya?! Still recovering from that food coma? Since I am pretty sure that is a YES – how about some more Free Cut Files to help you get motivated on finishing up those special handmade Christmas gifts?! As you can see I am definitely on a floral antler kinda kick as of late, leading to another gorgeous freebie just for you! 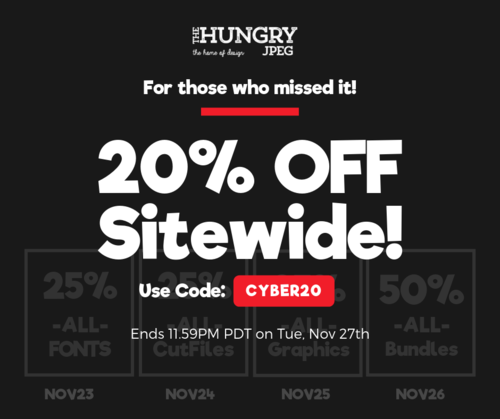 The Hungry Jpeg and FPTFY want to always bring you the best free craft goods out there! That’s why their amazing Bundle’s sponsor posts and freebies like these, to keep the crafting juices flowing! • Click Here for all the November Bundle Savings! You could make the sweetest Wi-Fi sign ever! !